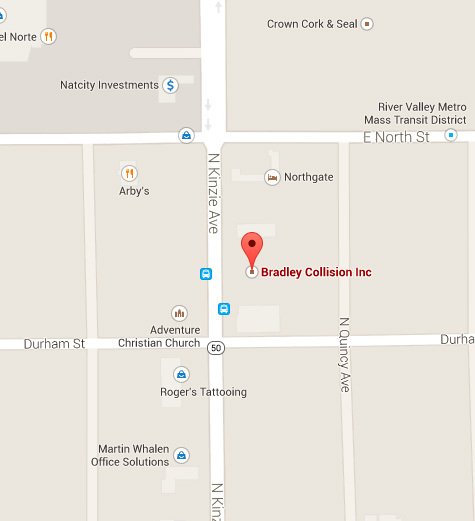 At Bradley Collision, you are important to us. Please leave us a detailed message and a member of our staff will be sure to contact you. Your kindness is greatly appreciated. Thank you very much for the wonderful repair to my Toyota Camry it looks fantastic. Bruce, Your kindness is greatly appreciated. Thank you very much for the wonderful repair to my Toyota Camry it looks fantastic. Thank you so much for the great job you did on my car. You and your staff are true professionals! Your work was greatly appreciated! Bruce, Thank you so much for the great job you did on my car. You and your staff are true professionals! Your work was greatly appreciated! Thank you again for you help taking care of our car and truck. You did a wonderful job on both. Bruce, Thank you again for you help taking care of our car and truck. You did a wonderful job on both. Thank you for the wonderful job your company did on restoring my Lancer, it looks beautiful and the color matched perfectly too. You were very professional, kind and considerate. The work on my car was completed in a timely manner and you also made arrangements for the rental car service to pick me up and to me, that was also great service. I just wanted to thank you for the beautiful job you did on my car, plus I really appreciated washing it and cleaning the inside. Thank you so much with all my heart. Bruce, I just wanted to thank you for the beautiful job you did on my car, plus I really appreciated washing it and cleaning the inside. Thank you so much with all my heart. Sending you a note that expresses my deepest gratitude for everything that you have done thank you very much. I appreciate the awesome job you did for me and my kids. They love it! Gale, Carolyn and Joshua M.
Bruce, Sending you a note that expresses my deepest gratitude for everything that you have done thank you very much. I appreciate the awesome job you did for me and my kids. They love it! Thank you very much. I appreciate the job well done! You made my car look brand new. Thank you again. Bruce, Thank you very much. I appreciate the job well done! You made my car look brand new. Thank you again. Just a note of thanks for the fine job you did on two of my cars. In fact, it was much a pleasurable experience working with you. I am almost looking forward to my next accident. Well, perhaps I've overstated my appreciation but if I ever do need a repair work again, I'll be back. Thank you so much. Bruce, Just a note of thanks for the fine job you did on two of my cars. In fact, it was much a pleasurable experience working with you. I am almost looking forward to my next accident. Well, perhaps I've overstated my appreciation but if I ever do need a repair work again, I'll be back. Thank you so much. Thanks so very much for all your help and a fantastic job on the car. Dear Bruce, Thanks so very much for all your help and a fantastic job on the car. Too often we complain about and criticize people for services that do not meet our expectations. But seldom do we think of commending them for those services that surpass our expectations. We recently experienced one of these latter was and we want to thank you, not only for a job well done, but for the kindness, the courtesy, and the consideration that we were shown on taking delivery of our Buick LeSabre. Dear Mr. De Luca, Too often we complain about and criticize people for services that do not meet our expectations. But seldom do we think of commending them for those services that surpass our expectations. We recently experienced one of these latter was and we want to thank you, not only for a job well done, but for the kindness, the courtesy, and the consideration that we were shown on taking delivery of our Buick LeSabre. We are completely satisfied with the work that was done, the quick service, & the performance of the automobile. In addition, thank you for the courtesy of delivering our vehicle immaculate. The car was spotless inside and out, although the item that was not included in the estimate. So we thank you for concluding a not too pleasurable experience, with a very pleasant one. Please accept our thanks and appreciation for all of this and be assured the highest praise and recommendation for your services. Bruce, We are completely satisfied with the work that was done, the quick service, & the performance of the automobile. In addition, thank you for the courtesy of delivering our vehicle immaculate. The car was spotless inside and out, although the item that was not included in the estimate. So we thank you for concluding a not too pleasurable experience, with a very pleasant one. Please accept our thanks and appreciation for all of this and be assured the highest praise and recommendation for your services. Thank you very much for your professional service with my equinox and Lou's Cavalier. We appreciate your generosity and kindness! Hope all is well. Take care. Dear Bruce, Thank you very much for your professional service with my equinox and Lou's Cavalier. We appreciate your generosity and kindness! Hope all is well. Take care. What a wonderful job you did on our Jeep! You always go that extra mile for your customers such as placing a black strip back on the side of our Jeep. 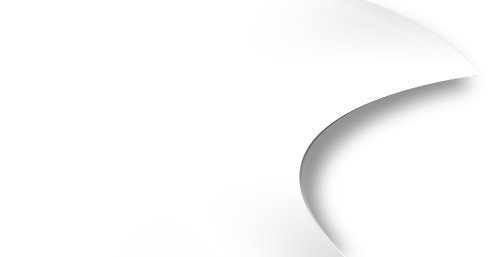 Your attention to detail and excellent customer service will keep your customers coming back. Thank you. Bruce, What a wonderful job you did on our Jeep! You always go that extra mile for your customers such as placing a black strip back on the side of our Jeep. Your attention to detail and excellent customer service will keep your customers coming back. Thank you. I wanted to take just a moment to thank you for all the wonderful work you did on my Monte Carlo. The entire process having my vehicle repair was painless, and I thank you for excellent customer service. I hope I never have to visit you again but I will certainly look you up if the need arises. To the Bradley Collision Crew, I wanted to take just a moment to thank you for all the wonderful work you did on my Monte Carlo. The entire process having my vehicle repair was painless, and I thank you for excellent customer service. I hope I never have to visit you again but I will certainly look you up if the need arises. Thanks for the care on my Buick and the fact that it looks brand new. Your kindness to me and my husband was appreciated. Maybe someday we can return your kindness. Thank you very much. Dear Bruce, Thanks for the care on my Buick and the fact that it looks brand new. Your kindness to me and my husband was appreciated. Maybe someday we can return your kindness. Thank you very much. Thank you for taking care of my car. It looks new and feels good to drive. My friends comment on how good it looks. thank you again! Dear Mr De Luca, Thank you for taking care of my car. It looks new and feels good to drive. My friends comment on how good it looks. thank you again! Just wanted to thank you for fixing my Jaguar X, it feels as good as new. Bruce, Just wanted to thank you for fixing my Jaguar X, it feels as good as new. Thanks again. You're the best! Thank you so much for putting my car back together it looks wonderful. We thought dinner was a nice way to show our thankfulness. Bruce, You're the best! Thank you so much for putting my car back together it looks wonderful. We thought dinner was a nice way to show our thankfulness. Thanks so much for doing a quick and good job on my car. Also, thanks for getting my tires done you're a very caring person. Bruce, Thanks so much for doing a quick and good job on my car. Also, thanks for getting my tires done you're a very caring person. © 2019 Bradley Collision Inc. All rights reserved.